AZTEK Services are approved installation agents for BPT Fadini traffic barriers and rising bollards, we offer a complete design, installation and after sales service throughout East Anglia. Three barrier systems are available. The MEC900 for heavy duty applications up to 8 mtrs, Barrier 88 light duty up to 4 mtrs and the manual barrier RB60 up to 6 mtrs. The MEC 900 has a separate air cooled motor providing a near continuous duty cycle, both systems incorporate hydraulic pressure controls, manual release valves and safety cutout door switches. The RB60 manual barrier is fitted with locking facilities to secure the beam in both the up and down positions. Keep posts and folding pedestals are used on longer length barriers to provide additional support, folding skirts add a higher level of security. The MEC 900 can be fitted with an aluminium folding skirt to provide improved visibility and security. Both the MEC 900 and Barrie 88 can be fitted with articulated beams to accommodate entrances with restricted height. Two rising bollard systems are available, the medium duty Combipost 100mm dia and the heavy duty Europost 100mm and 200mm dia. Both are hydraulically powered and rise to a height of 600mm. The Combipost has its hydraulic pump incorporated as part of the bollard unit, the pump on the Europost is located in a lockable enclosure up to 10mtrs away. Both systems have a seperate electronic control unit which provides timing, safety and motor control functions. An electrical isolation switch is incorporated to prevent removal of the cover with the mains supply turned on. 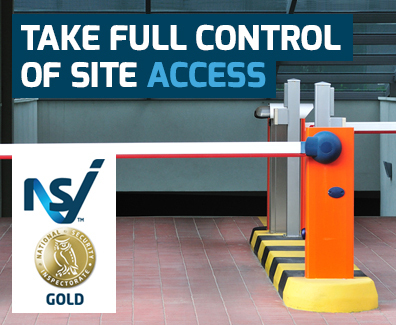 A wide range of control and safety options are available to operate the barrier and bollard systems. Safety is of paramount importance in vehicle control systems. The Fadini hydraulic pump units incorporate sensitive safety and manual override valves to provide a safe working pressure. Where appropriate additional safety features can be added such as vehicle sensing induction loops and infra red beams. AZTEK Services provide a comprehensive after sales service for Fadini and many other makes of traffic control equipment. We specialise in all aspects of traffic barriers and automatic gates and have the expertise to be able to assist clients with any enquiry that you may have. For more information about our services, speak to our experts today.